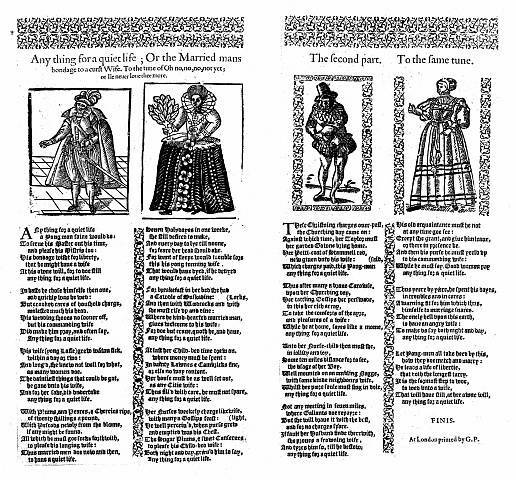 Broadside ballads, printed cheaply on one side of a sheet of paper from the earliest days of printing, contain song-lyrics, tunes and woodcut illustrations and bear news, prophecies, histories, moral advice, religious warnings, political arguments, satire, comedy and bawdy tales. Sold in large numbers on street-corners, in town-squares and at fairs by travelling ballad-singers and pinned on the walls of alehouses and other public places, they were sung, read and viewed with pleasure by a wide audience, but have been handed-down to us in only small numbers. The Bodleian Library at the University of Oxford holds nearly 30,000 songs, many of them unique survivals, printed from the 16th to the 20th Centuries. Digital facsimiles and an online database were first made accessible in 1999. 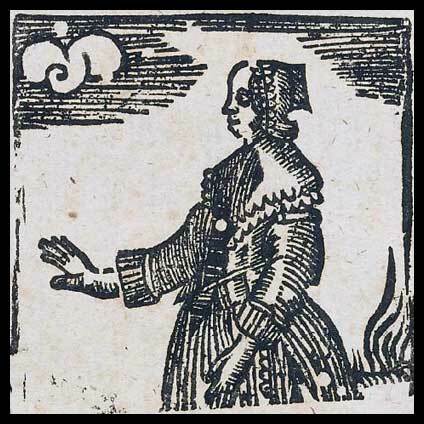 Broadside Ballads Online updates that database and links it to other resources. The English Broadside Ballad Archive based in the Early-Modern Center at the University of California, Santa Barbara specialises in ballads of the 17th century and provides full-text transcriptions, as well as images and catalogue records, of over 4,000 ballads. The Vaughan Williams Memorial Library, based at the English Folk Song and Dance Society headquartered at Cecil Sharp House in London, maintains the Roud Broadside Index of references to songs which appeared on broadsides, chapbooks, songsters, and other cheap print publications, up to about 1920. Linked to the Roud Folk Song index, this provides a survey of the ballad tradition through its publishing history. All data published on this site is licensed under a Creative Commons Attribution-NonCommercial-ShareAlike 3.0 Unported License. 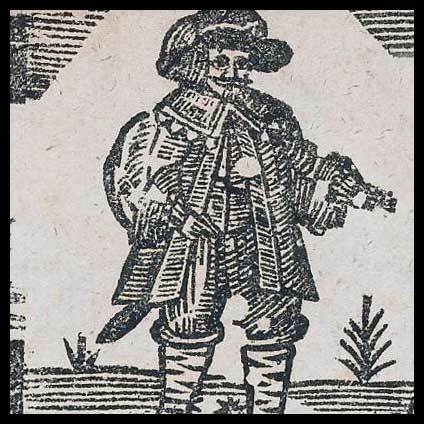 A representation of the Broadside Ballads Online data as RDF can be downloaded here. My research interests lie in the History of the Book in Britain, with particular emphasis on the long eighteenth century. Areas of particular interest to me include cheap print, such as ballads, chapbooks, newspapers and ephemera, and interactions between print and scribal and oral cultures. My current research is on the representation of genealogy in print and other media during the handpress period (c. 1450-1800) in Britain. I am also working on a study of chapbooks from the eighteenth century to the present. As Coordinator of the Centre for the Study of the Book (part of the Bodleian Libraries Special Collections), I coordinate programs aimed at making Special Collections material more accessible to students, researchers, and the public. These include cataloguing and digitization projects, displays, and public classes and lectures. The Centre also has a fellowship program supporting visiting researchers. is a programmer and folky, with a strong interest in both the technical and content sides of the Ballads Project. Mike served as the lead developer for the Broadside Ballads project and between frantic bouts of coding can sometimes be found sat by the river playing the banjo! is a software engineer at the University of Oxford; she has a background in multimedia development with experience in creating training materials (CBTs, e-learning content, CMS/LMS), web development, and design. She has a BSc in computer science, and is currently completing her MSc in Software Engineering at the University of Oxford. Monica is working on various front end designs for projects within Bodleian Digital Library Systems and Services (BDLSS).